Predom a caravan is a compact, lightweight caravan, simply furnished but well equipped. 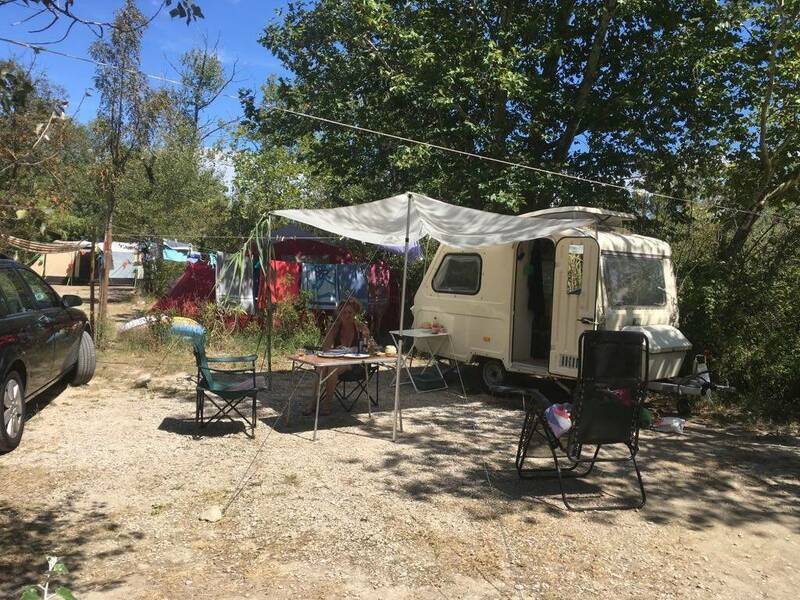 So you're looking for a cheap but very nice caravan then you've come to the right place! 2 burner gas cooker including full gas bottle. Running water (cold) in the kitchen, operated by electricity. Lxbxh 2.75m (excl triangle) 1.90m x 1.95m (height opened lifting roof) Empty weight 550 kg. The trailer may be towed without a trailer license, so only with a car driving license B. The caravan has no badge, so take therefore the white license plate of the towing vehicle with. Only weekly rentals available in July and August. The rent includes complete inventory. Excluding cleaning at € 20, - Self-care of the final cleaning is also possible. Pickup and delivery service: For example, to the campsite. Depending on location, it is determined an all-in price. 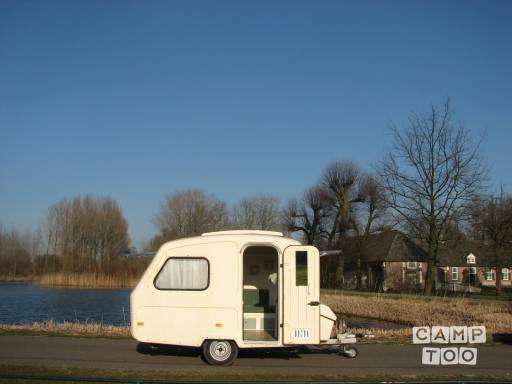 You can pick up the caravan in Nijmegen at Sanne.